Yes, there were some funny parts…no, they weren’t worth making a movie for. 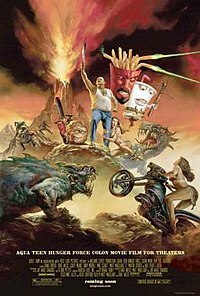 If you like ATHF, you’ll like this movie for the most part, although it gets pretty boring. Now I see why ATHF episodes are only 10 minutes long. For the most part, a good movie. The twist at the end wasn’t mind blowing or anything, and I actually guessed (most) of what had happened pretty early into the movie. It was still entertaining. I’d recommend it as a rental. Intense. The first ten minutes of this movie are maybe the most intense first ten minutes of any movie I’ve seen. At least that I can think of off the top of my head. The movie pretty much keeps you on the edge of your seat the whole time. The plot isn’t quite as good as the first one, but it’s definitely got more action. This one is a bit more gory than the first, so I had to close my eyes a little more, but if you liked the first one, you’ll surely like the second. We re-watched this after seeing the sequel. It’s just a really good “scary” movie. And I don’t like scary movies. The acting is superb, the action is exciting and the story is actually really cool. If you haven’t ever seen this movie, I’d recommend renting it. I wasn’t really expecting much out of this one. 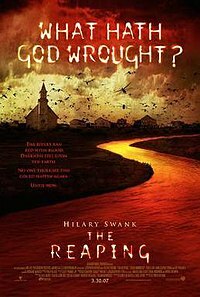 I’m not much of a Hillary Swank fan, but this movie turned out to be pretty alright. It was interesting. Although I nodded off a few times, it wasn’t because of the lack of suspense, but just because I was pretty tired. Worth a rental. ← Jake and Amir are funny.